Major tourist attractions in Scotland are failing to cater for people with a hearing loss, a charity has said. Action on Hearing Loss Scotland (AHLS) made spot checks on 21 venues. Only three had working hearing loops at their main ticket or information point. The charity said working loops were needed to amplify speech over background noise for people who wear hearing aids. It said it is "absolutely essential" for the equipment to be maintained. The three attractions with working hearing loops were Stirling Castle, McManus Museum in Dundee and St Mungo's Museum in Glasgow. Venues were also checked by "mystery visitors" on whether staff demonstrated that they were deaf aware, and the overall accessibility of the attraction for people with hearing loss. 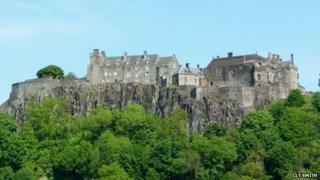 The three highest-ranked attractions were Stirling Castle, the National Museum of Scotland and Holyrood Palace. AHLS director Delia Henry said: "As Scotland prepares for major high profile events in 2014, it is crucial that tourist attractions are fully accessible for the one in six people in Scotland who have hearing loss as well as those coming from overseas. "People who are deaf or hard of hearing have the legal right to enjoy the same level of service as other customers so it is absolutely essential that tourist attractions ensure that equipment such as loops at main information points are installed, maintained and switched on and that staff are trained in deaf awareness." A spokesman for Historic Scotland said: "We take our obligations to provide reasonable access very seriously and for some years have ensured hearing loops are in place at our properties including Melrose Abbey. "However we are disappointed that on this occasion the visitor felt the trip to the Abbey was below what was expected." Head of marketing at the Scotch Whisky Experience Julie Trevisan Hunter said: "I feel disappointed that we have been criticised without discussing this with us - if there was an individual training issue or if there is additional equipment we can install, we would always be happy to consider it. "As we are refurbishing the welcome desk in January 2014, we will be updating all communications equipment at that time." Eilidh Massie, marketing manager at Our Dynamic Earth, said: "We have measures in place to help those who have hearing difficulties and we are planning, as part of a major refurbishment next year, to install additional facilities to increase accessibility." A spokeswoman for the National Trust for Scotland, which runs the Robert Burns Museum, said: "We have worked hard to try to make the museum accessible to all. "We would be happy to meet with Action on Hearing Loss to talk about ways to improve." Chris McCoy, of VisitScotland's Accessible Tourism Project, said: "While many of Scotland's attractions have gone to great lengths to ensure that visitors with accessible needs are catered for, we know that the industry, as a whole, can still improve. "We will continue to work with the relevant groups and organisations, together with the industry, to help ensure that all needs are catered for during what will be a major year for Scottish tourism."